Mortgage broker agreements protect homebuyers from fraud. When buying a home, most people do not pay in cash. Instead, they finance the bulk of the property purchase with a mortgage. They may choose to go directly to a bank or mortgage lender for a mortgage or use a mortgage broker to shop interest rates and loan products. To prevent fraud, states require mortgage brokers to enter into mortgage loan origination agreements, more typically referred to as mortgage broker agreements, before accepting fees. 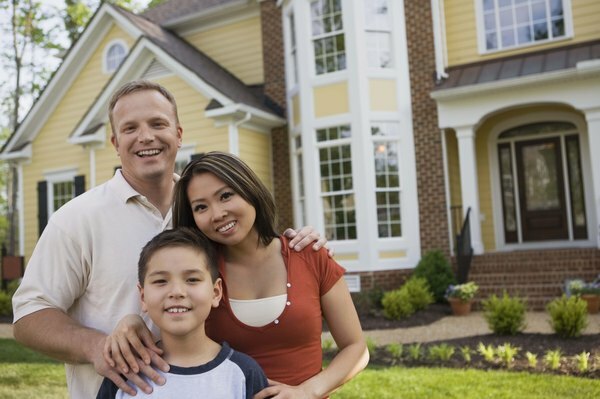 Everyone who uses a mortgage to purchase a home must go through the loan origination process. This involves finding the loan product that matches the homebuyer’s credit and net worth profile with her needs. The lender charges an origination fee -- also referred to as the administrative fee, underwriting fee or processing fee -- to evaluate and prepare the mortgage loan. The origination fee may cover document preparation, attorney fees for the lender, notary costs and similar associated fees. Many individuals go directly to a specific lender to obtain a loan, for example, Wells Fargo Home Mortgage or SunTrust Mortgage. However, other prospective homebuyers use mortgage brokers -- independent contractors, working alone or for a mortgage brokerage firm, who represent loan products for different lenders in their bid to obtain the best deal for their customers. Mortgage brokers refer many of the loans that large mortgage lenders provide. For example, Wells Fargo provided more than 20 percent of the residential mortgages in the U.S. in the second quarter of 2013, though much of that percentage came from mortgage broker referrals. Legally, any individual who uses a mortgage broker instead of a direct lender to purchase a residence must enter into a fully executed mortgage broker agreement before the broker can assess any origination fees. State laws forbid a prospective homebuyer from paying mortgage brokers an origination fee unless a written mortgage broker agreement exists between the two parties. The broker agreement must be signed and dated by the homebuyer and the mortgage broker or the branch manager if the broker works for a mortgage brokerage firm. The written broker agreement must clearly specify the services the mortgage broker provides, the terms of the loan origination fee and the dollar amount that the mortgage broker is to receive as a loan origination fee. In most states, a mortgage broker can only charge an application fee and third-party fees --appraisals, surveys, credit report -- before approval of a residential loan by a qualified lender. If the mortgage broker will receive a commission or incentive from the lender in addition to the origination fee, the mortgage broker agreement must clearly identify that compensation, the amount and its purpose.